01.04.15 – The Manufacturer – RAEng backs potentially game-changing electro-technologies. SEAMATICS is an Engineering and Physical Science Research Council (EPSRC) sponsored project for a multi-university research program and a pilot manufacturing facility based at the University of Leeds in the United Kingdom (UK) for developing advanced Photonic Integrated Circuits (PIC). 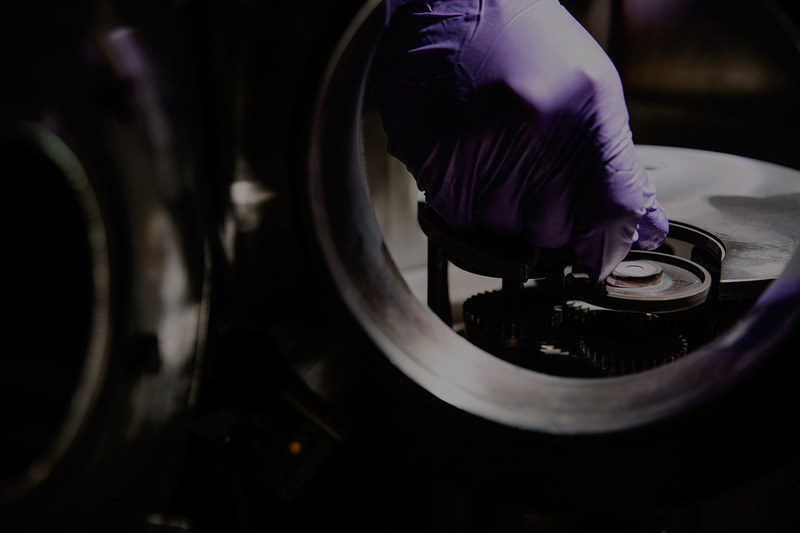 The EPSRC is providing £3.8 million to fund the collaboration under its Manufacturing of Advanced Functional Materials program and Strategic Equipment Grant. The project is also supported by a number of industrial partners. SEAMATICS, led by the University of Leeds , brings together a team of leading UK researchers in photonic materials and devices, from the Universities of Cambridge , York, and Sheffield. The research team from these institutions have expertise in Ultrafast laser plasma process engineering and glass integrated optics, III-V semiconductor materials and devices, polymeric materials and integrated optics, sensor and optical communications sub-systems, and silicon photonics and nanophotonics. Project addresses the lack of a cost-effective and versatile integrated production process and materials platform for the manufacture of PICs. The ultrafast laser plasma implantation (ULPI) manufacturing process uses lasers with pulse durations in the femtosecond range to produce high density and high kinetic energy plasma for optical waveguide fabrication with high concentration rare earth doping. A new manufacturing facility will be setup at Leeds in year 2016 to scale up the process. The new manufacturing platform offers the on-chip integration of photonic functionalities such as waveguiding, light amplification, lasing, optical switching, and power splitting. In SEAMATICS project, we also aim to combine semiconductor, glass and polymer materials to enable PICs to meet the emerging demands of the optical communications, solid state lighting and microphotonic sensors/imaging device industries. SEAMATICS platform will eventually lead to a new PIC design, fabrication and device engineering capability with the potential to become a stand-alone financially viable manufacturing centre that will serve the needs of industry and academia. Prof. Jose has research experience in the areas of novel laser glasses, photonic integration with dissimilar materials, pulsed laser processing of materials and laser spectroscopy with emphasis on applications in photonic components engineering and bio-chemical sensors. His current focus is on the ultrafast laser plasma manufacturing of novel functional materials for these applications. He invented the wavelength tuneable random laser in rare earth doped glass films and its application in non-invasive glucose sensing. He is also founder of Glucosense Diagnostics Ltd, and Ultramatis Ltd, two spinout companies from the University of Leeds. Prof. Jose’s research was/is supported by funding from NIHR i4i, DSTL, EPSRC, innovate-UK and industries. Professor Animesh Jha is a Professor for Applied Materials Science in the Faculty of Engineering at the University of Leeds. He has vast research experience on Rare-earth Materials, Minerals and Processing research and has special interests in thermal analysis, glass and glass ceramic processing, optical fibre and waveguide engineering and laser based Spectroscopic analysis of Rare-earth doped materials. 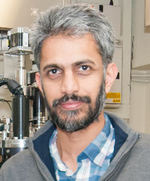 Professor Jha is the programme leader for an EPSRC and EU project to engineer new dental materials and perform ex-vivo and in-situ mouth appliance trials. As part of this work, he is overseeing research on the interaction of lasers with biomaterials for applications in dentistry. Dr Steenson has over 30 years of research and development experience in high frequency electronics, micro-fabrication and cleanroom fabrication equipment and facilities management. 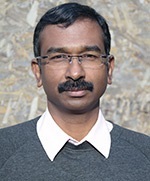 The main focus of his work involves the design and fabrication of millimetre wave (30-300GHz) and sub-millimetre wave (300GHz-1Thz) electronic circuits and sub-systems based on III-V quantum barrier materials and novel processing approaches for applications in communications, remote sensing and spectroscopy. Other related activities include; Micro-machined vacuum components for sub-millimetre wave power generation, Co-integrated Er-ion doped glass on semiconductor approaches for all optical integrated subsystem development, and the fabrication and application of THz quantum cascade lasers. 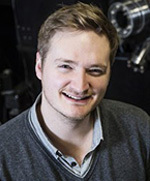 Dr Murray has a PhD in femtosecond laser ablation and deposition for the fabrication of photonic and electronic materials and devices with multiple publications in this area. He also has significant experience in the newly emerged ULPI technology, which he helped develop for silicon based substrates. Dr Murray is now exploring this technology through Ultramatis Ltd, a University of Leeds spin out and was awarded the Entrepreneurial award 2015 from the Royal Academy of Engineering-ERA foundation for its commercialisation. Dr Murray has technical experience in photonics, laser ablation, materials science and photovoltaics, he also has a wealth of business experience in IP, business growth and development and commercialisationimg. Dr Kumi-Barimah completed his PhD at Hampton University, Virginia, U.S.A. He specialised in laser interactions with matter, laser induced breakdown spectroscopy (LIBS) in the infrared region, fluorescence spectroscopy, crystal growth and optical refrigeration of rare earth ions doped halides. He has authored and co-authored several journal/proceeding publications in these areas. His responsibilities include supporting the purchasing of ULIP project equipment and managing the current femtosecond pulsed laser deposition platform at School of Chemical and Process Engineering in the University of Leeds. Jayakrishnan has 16 years of experience in optoelectronics R&D within the semiconductor industry. His experiences span over fundamental research in photonic integrated circuits to technology development for telecom and medical devices. Combining a mix of technology management and product development, he held various positions with Global foundries Inc.(US), A-STAR Institute of Microelectronics, Singapore and SAMEER, Indian Institute of Technology Mumbai, India. Recently he has been awarded a prestigious Mari-Curie individual fellowship by the European commission for research and innovation. He is also a winner of the emerging technology competition 2015, organised by the Royal Society of Chemistry, and also selected as one of the top three postgraduate researchers in 2015 by the University of Leeds. 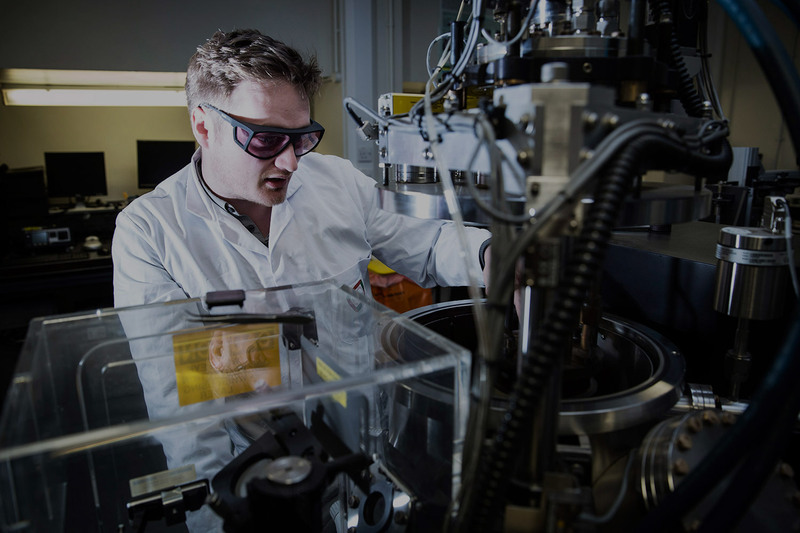 Dr Richards completed a PhD from the University of Leeds in 2008 in near-infrared fibre laser development using tellurium oxide based glass fibres. His research experience includes fabrication and characterisation of a wide range of optical materials such as rare-earth doped glasses for laser and other photonic applications, laser cavity construction, and spectroscopy, resulting in more than 20 journal publications. During his academic career he has worked closely with various industry partners, including a >1 year secondment to Glass Technology Services’ Innovation Team, has been PI and CoI on several collaborative grant-funded projects, and a Marie Curie Fellow working in industry in Italy. 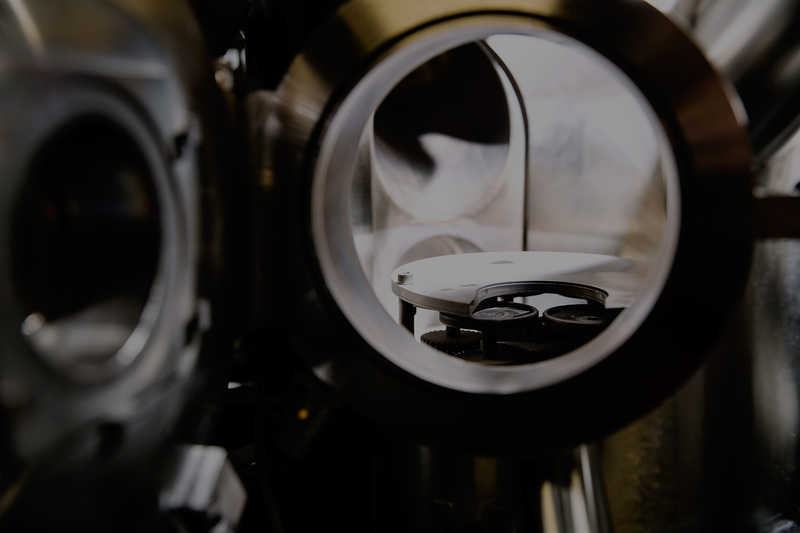 Within the SeaMatics project, he is researching the development of micro laser cavities using the thin film gain materials fabricated at the University of Leeds. 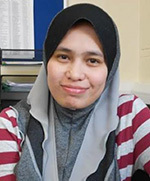 Suraya is currently a PhD student at the University of Leeds, working with Prof Gin Jose. Her research is focused on developing functional photonic layers on a silicon platform by forming glassy layers using ultrafast laser pulse implantation (ULPI) technique. These glassy layers which can act as optical amplifier, and are known as erbium doped waveguide amplifiers (EDWA) are suitable for application in silicon photonic technology. 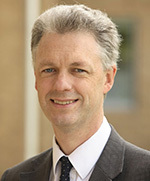 Prof White is currently Master of Jesus College, van Eck Professor of Engineering, and Head of Photonics Research at the Department of Engineering, University of Cambridge. He has published in excess of 900 journal and conference papers, and is co-founder of Zinwave Ltd and Pervasid Ltd. Ian is a Fellow of the Royal Academy of Engineering, the Institution of Electrical Engineers and the Institute of Electrical and Electronics Engineers. 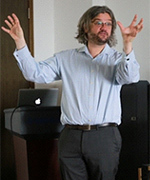 He sits on a number of International Conference Committees, and is Editor-in-Chief of Electronics Letters and of Nature Microsystems and Nanoengineering. 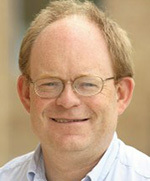 Prof Penty is Professor of Photonics at the University of Cambridge. His research interests include high-speed optical communications systems, high brightness lasers, optical amplifiers, integrated polymer waveguide systems, and radio over fibre and LAN systems. 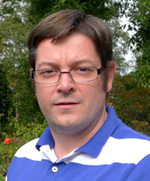 He has recently led a number of different projects which include the LINK FRIDAY and FORTRAN grants, EPSRC COLT, RODEOS, WOWS, PULSE grants and the Cambridge PI on the Basic Technology Micro and Nano Integration and INTERNET grants, as well as the EU FP7 VISIT, EuroPIC and PARADIGM projects. Following a PhD in semiconductor ring lasers (1989-1992) at Glasgow University, UK, Prof. Krauss initiated research on planar photonic crystals in 1993. His work on fundamental concepts in photonic crystals, including his Nature paper in 1996, was pivotal for transforming photonic crystals from a scientific curiosity to the essential building block in photonics that they are today. Following 12 years of successful research at St Andrews, including being Head of School 2009-2012, he relocated with his group to York University, UK, in early 2013, where they have completed setting up a new suite of nanophotonics fabrication and characterisation laboratories. 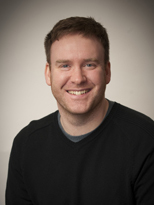 Dr Reardon received his PhD from the University of St Andrews in 2009. Since then he has worked with Prof. Thomas Krauss as a Post-Doctoral fellow, taking on responsibility for the day-to-day running of the microphotonics research group. Christopher has expertise in many aspects of micro/nano-fabrication including both photo- and electron-beam lithography, wet and dry etching, and thin-film deposition (using both a proprietary sputtering system, as well as designed and building an in-house and thermal/electron-beam evaporation). 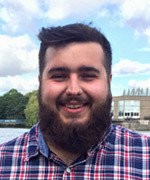 Mr Reeves studied physics at the University of York, graduating in July 2015 with a MPhys degree. During his final year he worked in the Photonics group on a project to optimise Reactive Ion Etching for photonic devices. Since then he has worked with our bespoke Pulsed DC Magnetron sputtering system with an emphasis on reactively sputtered thin films. Lewis started his PhD in October 2015 within the Photonics group working on light emission from photonic crystals. Prof Hogg has an excellent track record in the fabrication and engineering of novel surface emitting lasers. He will lead ‘Planar integration of active and passive devices on glasses’ research on pump laser integration in the SEAMATICS project. His significant achievements include development of multi-section QD super luminescent diodes (SLDs) for state-of-the-art device performance and the first demonstration of OCT imaging using a QD SLD; development of new fabrication processes for GaAs devices, development of QD based devices for data-communications, and as pump lasers. 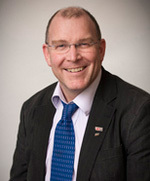 Prof Hogg is among world-leading researchers in EP-VECSEL manufacture and engineering. 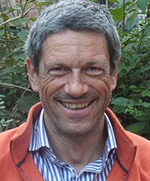 He has held several positions at the University of Sheffield and currently a professor at the University of Glasgow. His group has an excellent publication, and patenting track record (>200 journal papers), with strong industrial links, and has 5 PDRAs and 12 PhD students in related areas of research. 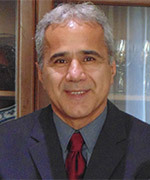 Dr Babazadeh obtained his Ph.D from the Department of Physics & Astronomy at The University of Sheffield in 2009. Since then he has worked as a post doctoral researcher at the Department of Electronic & Electrical Engineering. Nasser’s research has focused mainly on the development of GaAs-based opto-electronic. 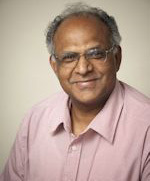 His principal research interests include the physics of semiconductor nanostructures; with particular emphasis on quantum dot and quantum well based lasers, VCSELS/VECSELS, Super Luminescent Diodes (SLDs), Semiconductor Optical Amplifiers (SOA), and Distributed Feedback Lasers. RAEng backs potentially game-changing electro-technologies. Malaria blood filter and anti-counterfeit plasma win engineering award. A new manufacturing facility using a high repetition rate femtosecond laser will be set at Leeds to produce high quality active and passive optical waveguide using ULPI. With a combination of the new femtosecond laser, micromachining techniques and electronic beam lithography, we will develop a robust high-throughput process for making PICs using shadow masks. We are also investigating a shadow mask approach with laser plasma for printing larger area photonic circuits. A number of materials such as silica, silicates, tellurite and polydimethoxysiloxane (PDMS) substrates will be used for a range of applications covering broad wavelengths. Single step manufacturing of active and/or passive planar integrated waveguide devices on an un-doped silica glass which is compatible with low loss coupling to standard optical fibre with perfect refractive index matching index is a primary objective in SEAMATICS. A unique feature of the manufacturing process is the ability to implant/dope multiple ions simultaneously, which we intend to exploit for materials with multiple functionalities. Another goal in this section, is the creation of energy efficient, space saving and environment friendly lighting solutions based on large scale active optical waveguide circuits. “Light bulbs‟ powered through optical fibres coupled to highly efficient diode lasers have potential applications in harsh environments or internal photo-therapy where electrically powered systems pose safety risks. The integration of an optical pump-source, in integrated waveguide devices and silicon is essential for PIC. This is addressed through two complementary routes III-V on silica and silica on III-V platforms. Our strategy envisions building optically powered PICs with hybrid integration of pump lasers and planar lightwave circuits that are practical and manufacturable. Silicon is the most attractive platform for large scale photonic integration due to its compatibility with CMOS manufacturing. Despite much effort by the research community, there are still some issues with transferring to manufacture with acceptable tolerances and reliability as the pump laser needs to be accurately placed in close proximity to the silicon waveguide. 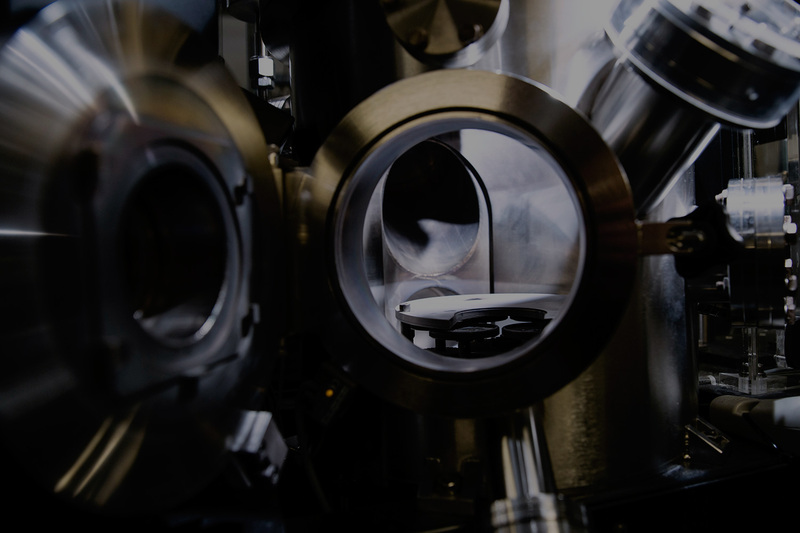 ULPI provides an alternative approach, whereby the gain layer can be grown directly on top of a silicon resonator, and the optical pump source can be integrated via a grating coupler, which is easier to align and can be bonded passively. We aim to develop a multifunctional, self-contained photonic chip, incorporating lasing and optical switching functionalities that are suitable for high speed broadband optical communication networks. The fabrication of integrated active functional polymer photonic materials promises a great impact as it could initiate the manufacture of low-cost sub-systems in PCB factories. The development of polymer waveguide amplifiers and light emitting devices by forming organic-inorganic nano composites using the new manufacturing platform is another objective of this project. If you are interested in our work or any of the research activities, please contact us through our info e-mail or e-mail: g.jose@leeds.ac.uk.